Republic Monetary Exchange, LLC (http://www.republicmonetary.com) is a precious metals dealer that primarily sells gold and silver to a broad range of client types in the Phoenix, Arizona area. The company was established in 2008 and has received accreditation from the Numismatic Guarantee Corporation, Industry Council for Tangible Assets, Professional Coin Grading Service, and American Numismatic Association. In addition to selling precious metals they also buy from their clients and provide investment advice related to diversifying holdings and investing in Gold IRAs. Not much information is given about the owners or managers of Republic Monetary Exchange on their website. However, they do have a Precious Metals Experts page that provides basic contact information for each of their 10 staff members. The Better Business bureau has the Principal Contact and Director of Business Affairs listed as David Ramirez. Republic Monetary Exchange is one of the few companies on our list that actually has a good star rating with the BBB, based on ratings from 9 reviews. Republic Monetary Exchange specializes in the sale of gold and silver bars and coins. They offer different kinds of gold coins – bullion, numismatic coins (low grade, investment grade, and rare collector grade), and dated foreign coins – in various denominations. They also offer premium and generic gold bars in various sizes. 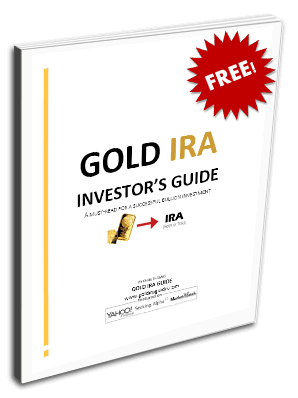 Gold IRA – Discusses the benefits and process of getting started with a Gold IRA. Gold Coins – Discusses various types of gold coins and showcases features the company's gold coin investment products. About Republic Monetary Exchange – A brief overview of the company's history, reputation, and products/services. With so many bullion dealers to choose from, it can be difficult to decide which one to trust with a portion of your retirement savings. Granted, there are plenty of reputable companies that will sell you IRA-eligible precious metals at a fair price, but not all of them will offer assistance in setting up and stocking a precious metals IRA. Does the company deal directly with an IRA custodian that charges a flat-rate fee, or does their custodian charge a sliding scale fee? Flat-rate annual storage and admin fees do not increase with the value of the account, whereas sliding scale fees increase as more precious metals are deposited into the account. Does the company have plenty of positive reviews and ratings that vouch for their honesty and business ethics? If you're an owner, representative, or associate of Republic Monetary Exchange and you've noticed any details on this page that are inaccurate or outdated, please feel free to contact us and request the revision or removal of any non-factual content. We strive to give our readers the most accurate company reviews on an ongoing basis. Republic Monetary Exchange, LLC is a precious metals dealer that primarily sells gold and silver to a broad range of client types in the Phoenix, Arizona area. The company was established in 2008 and has received accreditation from the Numismatic Guarantee Corporation, Industry Council for Tangible Assets, Professional Coin Grading Service, and American Numismatic Association. In addition to selling precious metals they also buy from their clients and provide investment advice related to diversifying holdings and investing in Gold IRAs.